Baker Hughes, a GE company (NYSE:BHGE) is the world’s first and only full-stream provider of integrated oilfield products services and digital solutions. Drawing on a storied heritage of invention, BHGE harnesses the passion and experience of its people to enhance productivity across the ott and gas value chain. As a part of this exciting journey, Baker Hughes are seeking for the following position. The Plant Manager will be required to equip the site for the immediate volume and ramp up to capacity following recent long-term supply agreements with global customers, With the support of management you will quickly understand what we do, how we operate. You will work hands on with the team to support and drive proactive and successful manufacturing environment. After the first 90 days, the next 3 months will be focused on working with the team to propose and implement any necessary changes that will ensure customer success. Integrate and develop processes that meet business needs across the organization, manage complex issues within functional areas of expertise, be involved in long-term planning, and contribute to the overall business strategy. Control manufacturing processes through plans that consider personnel requirements, materials, turnout, sub-contracting, facilities, tooling, and equipment. Develop necessary business plans to enhance the Master Manufacturing Plan which encompasses all program requirements, including throughput, labour hours, cycle, cost, productivity. Provide ongoing supervision and counselling for employees, guiding them in current positions, and assisting with career development and training. Bachelor’s degree in mechanical or industrial engineering from an accredited university or college. Fluent in Bahasa and English. Minimum 5-years of experience in a manufacturing leadership position. To be considered for a future position, please submit your resume/CV via link below. 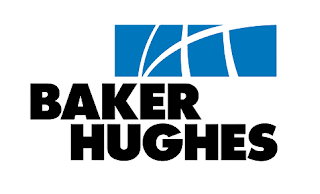 Thanks for reading Baker Hughes Jobs: Plant Manager. Please share...! 0 Comment for "Baker Hughes Jobs: Plant Manager"